For the Croutons: Place the torn bread on a baking sheet and drizzle with 3 tablespoons of olive oil. Using your hands, toss well to mix. Spread the bread out evenly on the pan. Place int he oven and bake till golden, about 15 minutes. Remove from the oven and set aside. 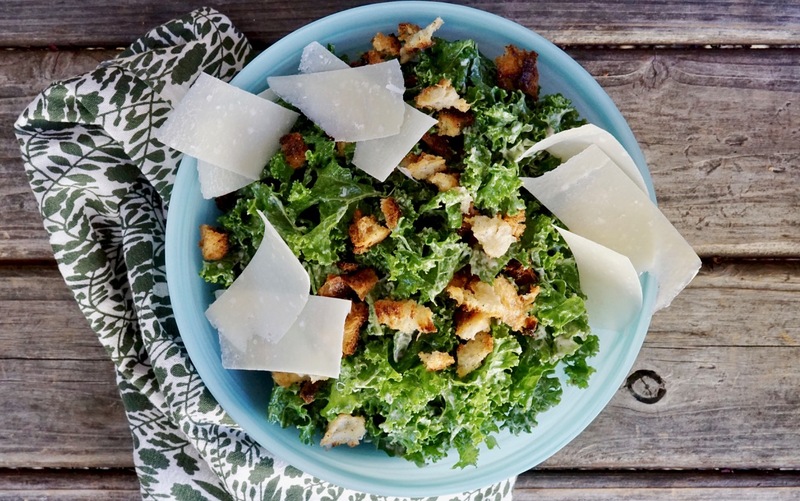 For the Salad: In a large bowl add the kale and the remaining 3 tablespoons of olive oil. Use your hands to toss well and coat the kale. Set aside. For the Dressing: Add the mayonnaise, anchovies, garlic, Parmesan cheese, Worcestershire sauce, olive oil, lemon juice, salt and pepper and blend on hight till smooth. Adjust the seasoning as needed. 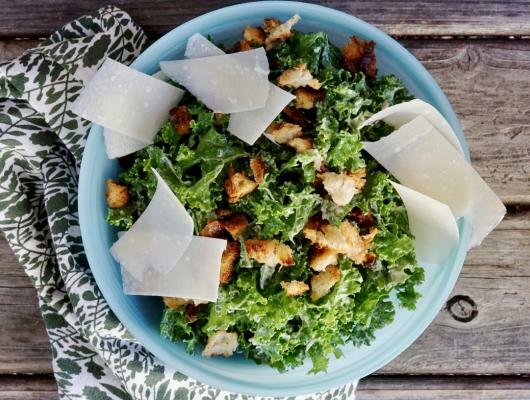 To serve: toss the kale with the dressing well to coat. Sprinkle with the toasted sourdough croutons and serve right away.